This year, will be our 2nd Annual Lap-It-Up for Camp Pledge! Pledgers have the ability to sponsor any athlete with donations based on how many laps they do in any of the sports offered: swimming, tandem biking, stand-up paddle boarding and track and field. Pledgers will be able to decide how much money they would like to pledge, and choose the specific athlete they would like to pledge for. All pledges will go directly into Camp Abilities Brockport and make camp more enjoyable for athletes to come. Tandem bikes, and other pieces of equipment will be purchased with the money raised from pledges.Your support is greatly appreciated and vital for Camp Abilities Brockport! You may either choose a athlete or select "Random", which will pick a random camper for the week. This dollar amount will be variable depending on how many laps your selected camper completes. 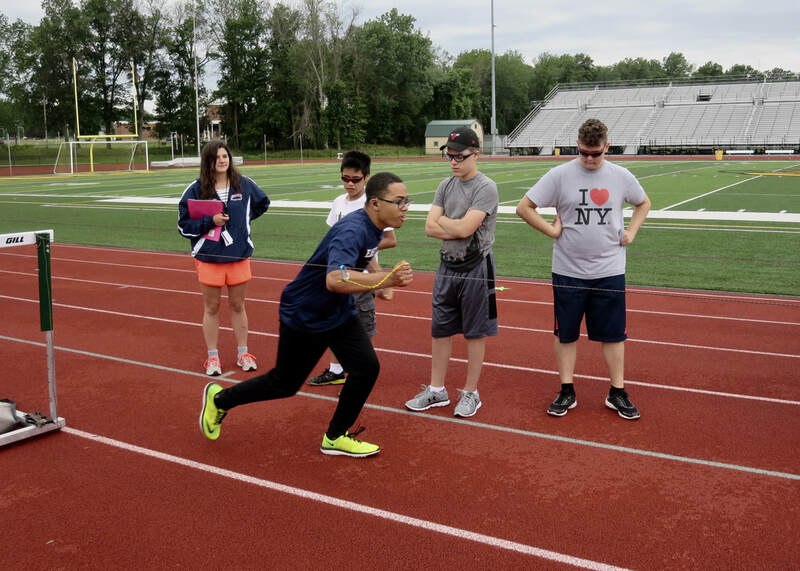 At the end of Camp Abilities Brockport, we will contact you via email and let you know how many laps your athlete has completed & the total amount of pledge money owed! Track your athlete's laps each day! Each night, we will be updating this page with the cumulative number of laps each athlete has completed.